Admission of German Refugee Children, Joint Hearings before a Subcommittee of the Committee on Immigration United States Senate and a Subcommittee of the Committee on Immigration and Naturalization House of Representatives, Seventy-Sixth Congress, First Session on S. J. Res. 64 and H. J. Res. 168, Joint Resolution to Authorize the Admission into the United States of a Limited Number of German Refugee Children, April 20, 21, 22, and 24, 1939 (Washington, D.C.: United States Government Printing Office, 1939), accessed Federal Documents Collection, Indiana State Library. The subcommittee of the Committee on Immigration of the Senate and subcommittee of the Committee on Immigration and Naturalization of the House of Representatives met, pursuant to call, in the committee room of the Senate Committee on Immigration, 412 Senate Office Building, at 10 a.m., Senator William H. King presiding. Present on behalf of the Senate committee: Senators King (chairman), Smathers, and Capper. Present also: Hon. 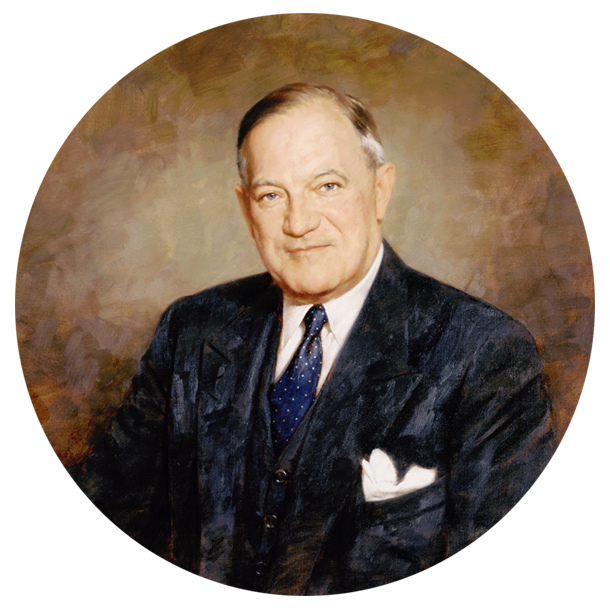 Robert F. Wagner, a Senator in Congress from the State of New York. Present on behalf of the House committee: Representative Kramer (chairman), Lesinski, O’Day, Mason, and Maciejewski. Senator King. Senator Wagner, do you desire to make a statement? Senator Wagner. Mr. Chairman and gentlemen of the joint committee, I desire to make a brief statement, after which I shall defer to Mr. Wilbur LaRoe, Jr. who will have charge of the presentation of witnesses on behalf of the resolution. Senator King. The committee will be very glad to hear from you. Senator Wagner. Mr. Chairman and members of the committee, the resolution before you for consideration is America’s response to the call of humanity. The conditions which concern us here have made a lasting impression on the conscience of the world. In greater Germany today, hundreds of thousands of human beings are denied both the right to live in peace and the very means of sustaining life. The tragedy deepens as the borders of the Third Reich are progressively expanded by force of German arms. Our sympathies go out especially to the children of tender years, the most pitiful and helpless sufferers – ostracized, excluded from schools and public places, threatened with physical harm, forbidden the simplest requirements of spiritual survival. Confronted with the prospect of a life without opportunity and without hope, all these unfortunates have increasingly sought refuge in other lands, in what is perhaps the greatest and most tragic exodus since the world began. For several years there has been in progress a world-wide effort to facilitate their migration and lighten their burden. The terrible events of last November turned this exodus into a panic. Thousands of helpless people mobbed consular offices and roamed Germany’s borders in frantic efforts to escape. Thousands more pleaded only that their children be spared the fate they were themselves unable to avoid. Leading citizens, regardless of party, including ex-President Herbert Hoover and Mrs. Calvin Coolidge, promptly registered their concurrence. Spokesmen for the two major labor groups likewise announced their sympathy and support. In response to these expressions of Nation-wide sentiment, the resolution now before you was introduced by myself in the Senate and by Mrs. Rogers in the House. The legislation does not propose to modify immigration policies long established, or to suspend existing immigration quotas with respect to adults. It is special legislation drafted to meet a special situation. It authorizes the admission during each of the next 2 calendar years of 10,000 German refugee children, 14 years of age or less, over and above quota restrictions. The admission of this limited number of children – an utterly insignificant proportion of our total population – could be accomplished without any danger of dislocating American industry or displacing American labor. Organized labor, which was instrumental in sponsoring the existing quota system, is strongly supporting the present resolution. Nor is there any danger of these children becoming public charges, for not a single child would be admitted except upon satisfactory assurances by responsible citizens or responsible private organizations that they would be supported and properly cared for in American homes of their own faiths. Somewhat over half of the children would be Jewish, the remainder Catholic and Protestant. The resolution does not pretend to solve the whole problem. It represents an effort to do our fair share in a noble work which other nations have already undertaken. I want to emphasize that the legislation is merely permissive. Nothing it its terms compels immigration or puts pressure of any kind on any family, agency, or foreign government. It is designed to give help where help is urgently wanted. Beyond that, it represents a form of human insurance – insurance for the protection of any group or any race which may be victim of a repetition of the events of last November. The introduction of this resolution has brought forth an overwhelming response in the press and among citizens and groups in every part of the country. This support has been crystallized in concrete plans to implement the legislation. The first step was the organization, by leading representatives of all faiths, of the Nonsectarian Committee for German Refugee Children, under the executive direction of Mr. Clarence Pickett, executive secretary of the American friends’ Service Committee, with a distinguished group of prelates, ediotrs, educators, public officials, and industrialists as co-chairmen. The second step, following promptly upon the first, was the submission by a committee of outstanding child-welfare experts headed by Dr. Marion Kenworthy of a comprehensive program for the detailed functioning of the plan, including the selection of the children abroad, their transportation, and temporary care at ports of entry, and their placement in American homes. The third step, taken in recent days, was the announcement of a distinguished citizens’ committee to sponsor the entire plan. The cause which unites all these individuals and groups has a universal appeal. We seek, by means going beyond mere words, to give expression to our innermost cravings for peace and good will among men. We believe that in this plan lies the most immediate and practical contribution which could be made by our liberty-loving people to the cause of human freedom. By long tradition America has been a haven for the oppressed. The admission of a handful of unfortunate children can mean very little in the economic life of a nation of 120,000,000 people; but it means a great deal, for us and for the whole world, as a symbol of the strength or our democratic convictions and our common faith. Suffer little children to come unto Me and forbid them not: for of such is the Kingdom of Heaven.